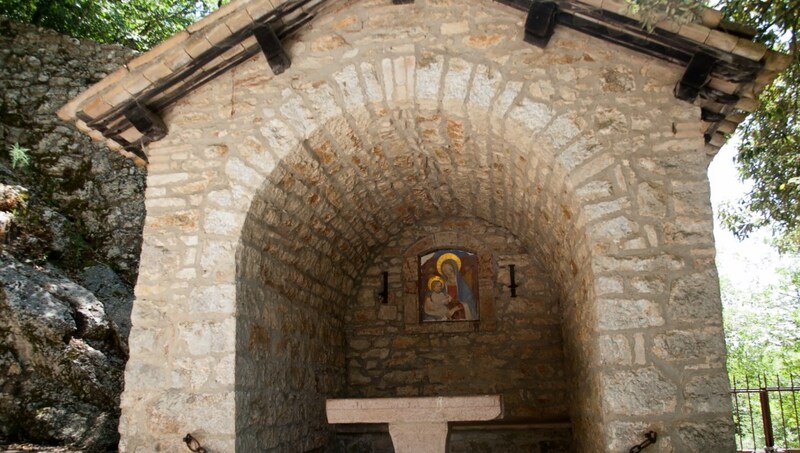 Welcome to the birthplace of St. Francis and the Franciscan Order. Thanks to its picturesque landscape and medieval buildings, it's a superb tourist destination as well as one of the world's most important pilgrimage sites! Here's the best of Assisi. This magnificent basilica was built over the tomb of St. Francis himself. It's really two churches – lower and upper – as well as the original Franciscan friary, Sacro Convento. Francis wasn't the only saint in town! 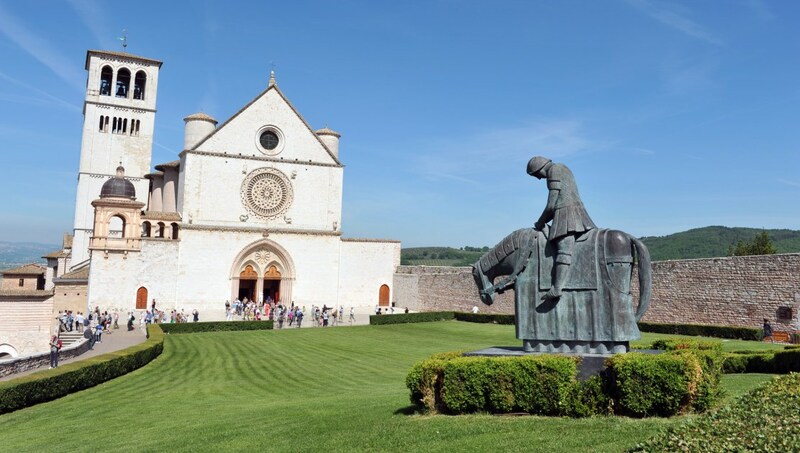 This cathedral, and home to early examples of medieval stone carvings, is dedicated to Saint Rufino – Assisi's patron saint and first bishop. 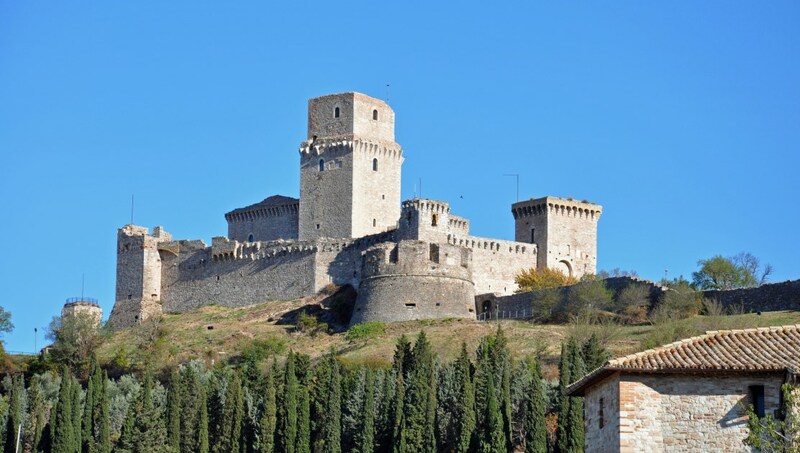 Assisi is built on the scenic slopes of Monte Subasio, so why not explore this saint-spawning wilderness that links it to neighboring historic towns like Spello and Nocera Umbra? St. Francis loved the caves above Assisi as a place where he could connect with nature. It's a 4km drive, or a beautiful hiking trail. The Basilica di Santa Chiara is home to the Speaking Cross from San Damiano, in front of which St. Francis is said to have heard the voice of God. This looming fortress dates back more than 800 years. Not only will it deliver an insightful glance into Assisi's history, but it also offers fantastic views from its towers. 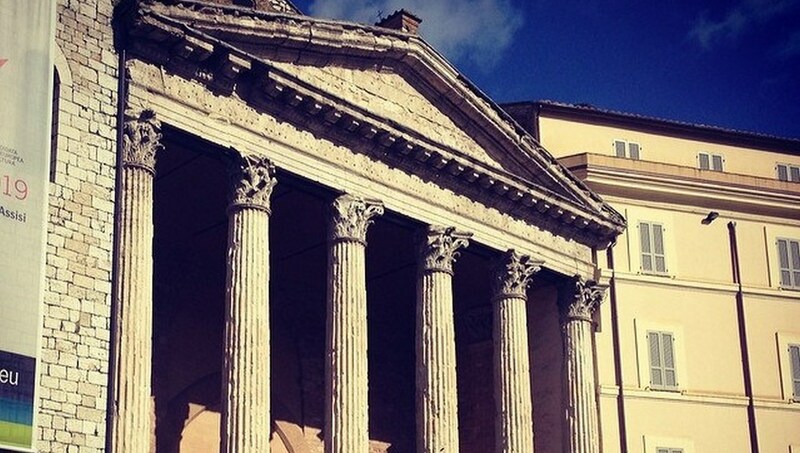 Facing Piazza del Comune, this former pagan temple is now a church. 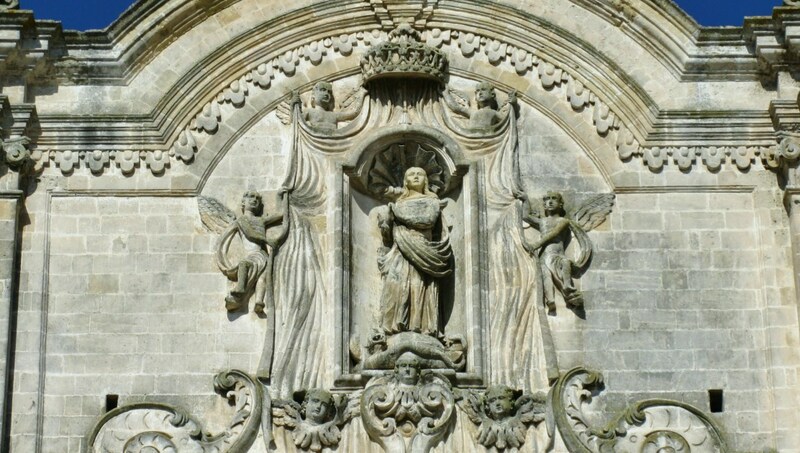 It still retains its Ancient Roman façade dedicated to the goddess of wisdom, Minerva. 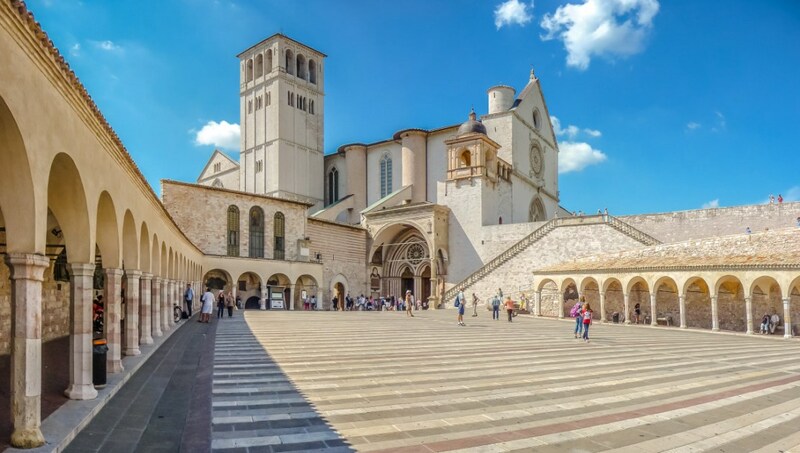 The closest airport to Assisi is Perugia San Francesco d'Assisi (Umbria International Airport), but it's not the best option. There are plenty of trains and buses that run regularly between Assisi and the closest major airports: Peretola Airport in Florence, Rome's Fiumicino Airport, or Pisa's Aeroporto Galileo Galilei. All three are roughly the same distance away, but the transport links from Rome will be the easiest. How many days should I stay in Assisi? If you just want to see the top attractions, two days should be plenty. If you plan to stay longer, take your time exploring the surrounding countryside and checking out the city's best restaurants. If you're headed to Italy for the wine, plan a visit for between September and November, when harvest festivals pop up all over the countryside. For a weekend to remember, do your research and choose one of Assisi's art, wine, olive oil, or jazz festivals. You'll get to experience the town at its most lively. 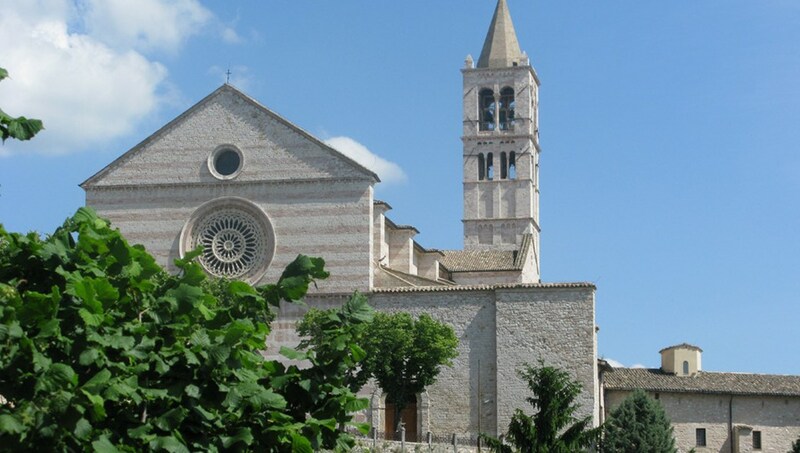 Want to discover all there is to do in Assisi? Click here for a full list. Daniel is amazingly enthusiastic about Assisi! Had an incredible tour around Assisi with Daniel. He knows so much history you will need to take notes! Lol! This was seriously one of the best tours in Italy I’ve ever had! Thanks so much! Book this tour!